Online store customers are becoming more and more demanding. Starting next fall, Posti’s new service will delivers online purchases on the same day in the Helsinki capital region. When a consumer orders goods from an online store, they expect to have it quickly. Speed is a significant part of the online store customer experience. According to Toni Laaksonen, Vice President of Parcel Services at Posti, the goal of global e-commerce giants is that in a couple of years, orders from online stores will be delivered to the customer on the following day at the latest. Consumers are becoming more and more demanding, and the competition among online stores is intensifying. Big online stores look for fast, cost-effective and reliable deliveries,” Laaksonen explained at the eCommerce fair organized in Helsinki on March 14–15. Some online stores would even like their products to be delivered during the same day. As a result, Posti is launching its new Fast Delivery service in September. With Fast Delivery, the customer will receive the ordered goods at a Posti Parcel Locker during the same day, provided that the order has been placed before noon. The service will be first introduced in the Helsinki capital region, and it will be available six days a week, including weekdays and Saturdays. The plan is to expand the service to other larger cities in Finland later on. At least Turku and Tampere are among the cities being evaluated. In the future, the service will also be expanded to include home deliveries. Laaksonen believes that the Fast Delivery service will increase the sales of online stores, as they can promise their customers that their order will be delivered on the same day. 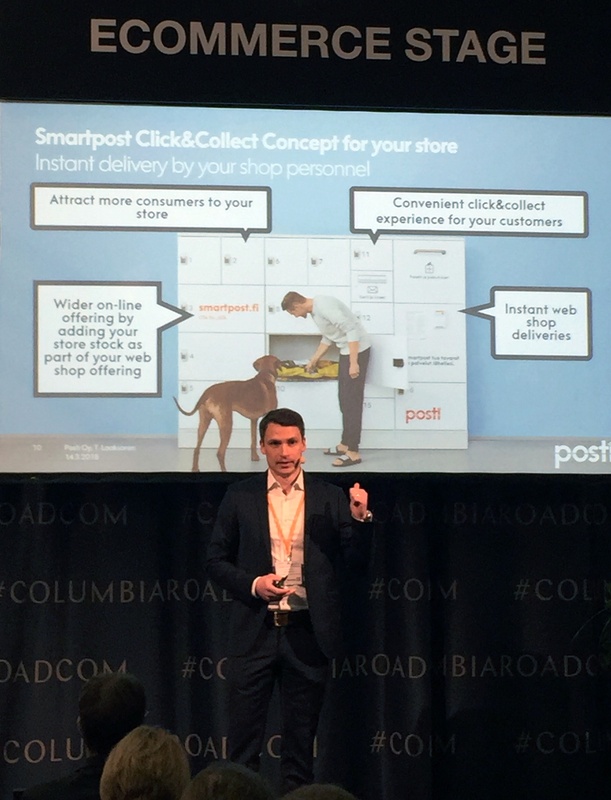 For now, the most cost-effective way to have an online store order delivered to the customer’s home is to use the Smartpost parcel locker introduced by Posti one year ago. Some 600 parcel lockers have already been installed. According to Posti’s assessment, the number of Smartpost lockers in residential buildings, workplaces and stores will be increased to up to 1,500 by next year. Posti also has new partners. They include several construction companies, large property rental companies and grocery chains, such as the latest addition, Lidl. The world has changed rapidly. Just a few years ago, even Finns hardly expected that you would soon be able to order something like a mobile phone online and only have to wait a few minutes before the store notified you that it was ready for pickup. When the store receives the order for the phone, the salesperson retrieves the product from the shelf, takes it to the Parcel Locker in the shop and sends a notification to the customer. The customer can pick up their phone without queuing at any suitable time – even right away, if they wish. The consumer can pick up their order – or pick it up and continue with their shopping. The consumer has a choice,” Toni Laaksonen explains. For a retailer, installing a click and collect parcel locker in the shop can bring in new customers. The customer experience of pickup points located in physical stores are often not great, as the queuing times are so long. This model allows the order to be picked up in just a few seconds,” Laaksonen says. According to Laaksonen, the new service will significantly increase the consumer experience.